The German Design Awards are the international premier prize awarded by the German Design Council. Its goal: to discover, present and honor unique trends in design. Every year, high-caliber entries in the fields of product and communication design are honored, each of which blazes new trails in the international design landscape. This year, the Wolturnus folding chair MERLIN wins the “Special Mention” award in the category “Excellent Product Design”! “Special Mention” awards are given to works with designs that feature particular successful partial aspects or solutions – these prizes honor the commitment of companies and designers. This year there were more than 5.400 of entries in a total of 33 competition categories the jury had to choose the winners from (44% in the category “Excellent Product Design”). In the competition category “Medical, Rehabilitation and Health Care”, the Merlin could prevail against a total of 78 competitors. 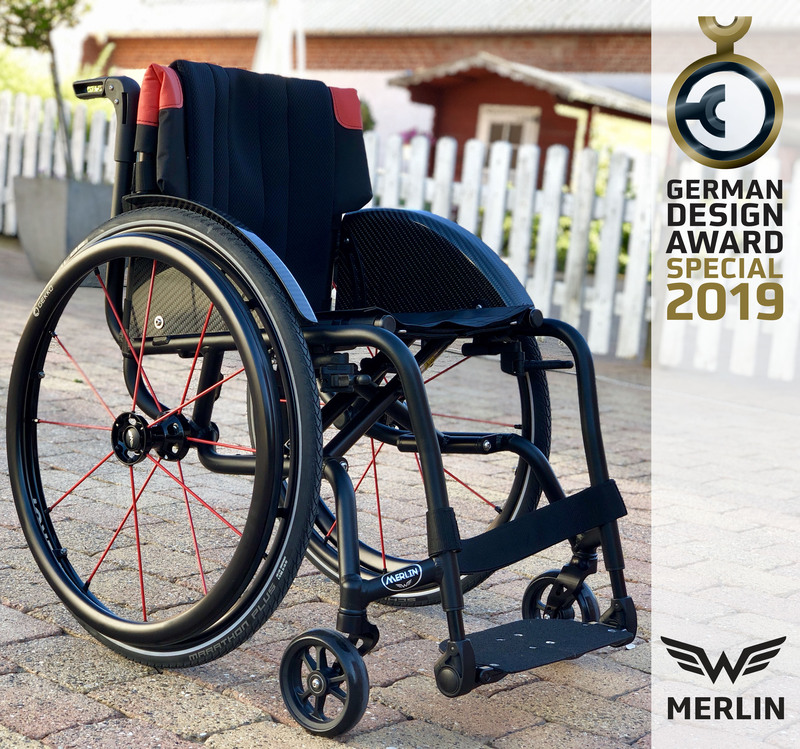 We are very happy to receive such an honorable award for our newly developed foldable wheelchair Merlin, which combines the stability and stiffness of a rigid wheelchair with all advantages of a foldable wheelchair. Launched in 2012, the German Design Awards are among the most prestigious design competitions worldwide and have an excellent reputation far beyond specialist circles. Read more about the Merlin.